Located in the heart of South Kensington, Brown and Rosie’s is a landmark café that brings a slice of Australian breakfast and brunch culture to London. 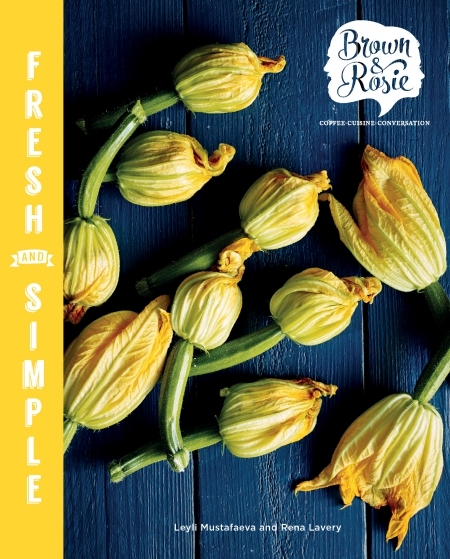 The Fresh and Simple cookbook now offers the reader the chance to recreate the sophistication of Brown and Rosie’s at home. Inspired by years spent in Australia and travels across the world, Fresh and Simple brings together over one hundred recipes, combining favourite dishes from the café menu with a homemade cooking style that inspires experimentation with taste and presentation. They have simplified tricky techniques and minimised fussy ingredient lists, giving the dishes a modern twist that’s still achievable with today’s busy lives. The cookbook features recipes for all occasions and meal times, from early morning poached eggs to fragrant butternut squash soup for chilly afternoons and slow-roasted leg of lamb to seared tuna salad, plus indulgent desserts, bakery and healthy juices and smoothies for that all important health kick. Authors Leyli Mustafaeva and Rena Lavery come from a strong family tradition of cooking and sharing food; as young children they watched their aunt in the kitchen experimenting with unusual ingredients and innovative flavour combinations. Having worked and travelled in Europe, Australia and Asia, Leyli and Rena now bring together their culinary experiences to establish a contemporary café in London’s cultural quarter, serving healthy, nutritious dishes that are full of flavour.